Le voyage de nos rêves! SIS students had the chance to practice their language skills in Paris, France! They wrote in both French and English to show their language skills! Notre voyage était incroyable! Chaque jour, nous avons fait quelque chose que nous aimons. Par exemple, quand il était un peu tard, nous sommes restés devant la Tour Eiffel, aussi nous avons beaucoup mangé et nous avons goûté plusieurs plats traditionnels français et basques. Chaque matin, nous prenions notre petit-déjeuner dans un grand appartement au 31ème étage qui donnait sur Montparnasse, la Tour Eiffel et tout Paris. Et, bien sûr, nous avons appris beaucoup de choses, par exemple les conjugaisons et du vocabulaire français. C’était le voyage de nos rêves! 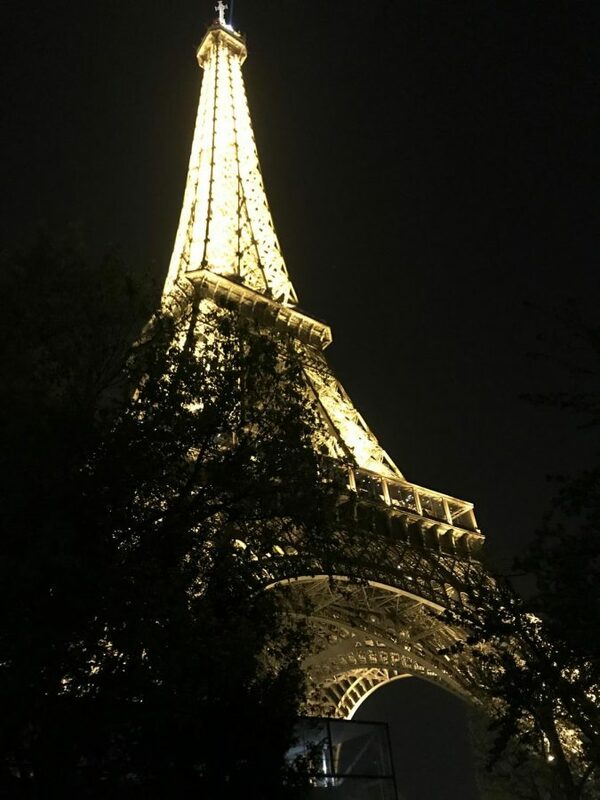 On the first day of the trip we saw the Eiffel Tower at night, when it sparkles on the hour. The next day we went to the Sainte-Chapelle, which was the chapel of the king of France. After that we walked around on Ile de la Cité where the Notre Dame Cathedral is located. Then we had a study session in the park. We also went to the Monet Museum and saw amazing water-lilies and other impressionist paintings. On the next day we went to a flea market where we had the fun challenge to find and buy something matching a certain description of three adjectives for under 10€. This taught us how to communicate better in French when politely asking for something. After this, we went to another park where we prepared sketches in French. After that we went to the Montparnasse cemetery where many famous people are buried. On the last day we went on a boat tour on the Seine. After which we did an activity in the city where we had to follow directions in French and ask for directions in French, as well as look for different keys. For our final activity in Paris we saw a part of the show at Au Lapin Agile – a unique cabaret with a magic ambience, where people sing French songs from various epochs. We had to leave early though because our flight was early the next morning. Apart from the things that we learned during the regular study-sessions, we got to experience some traditionally French phenomena, like, for instance, strikes (even our flight was cancelled because of it). Overall, we learned a lot while having a lot of fun through speaking French in real life contexts, something that is hard to do in a class. This trip was one of my favorite experiences!